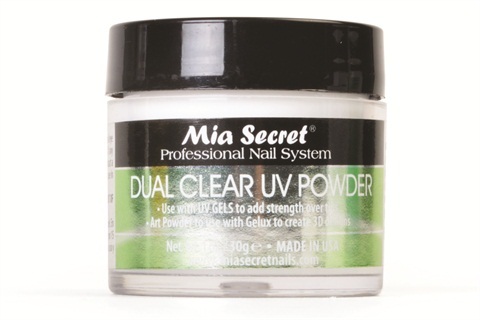 Make sculpting and 3D nail art easier with Mia Secret's Dual Clear UV Powder. Mix the products with other gel systems for strength and structure. When mixed with gel, the powder will not dry until cured in an LED or UV light, giving you time to create without the worry of the product drying. For more information, visit Mia Secret.